Today Aeria Games is shooting us some new info for their heavily anticipated free to play first person shooter Soldier Front 2. These new details are backed by a brand new website which also details the large variety of options to expect when the game gets released. Soldier Front 2 will feature six Special Forces units that are modeled after real-world combat specialists. Each unit, in addition to having their own unique look, will have dozens of unique weapons which are detailed by an in-depth statistics system that will help players identify which weapons are the best fit for their needs. From what I can gather from the website, the game looks to feature 6 different maps and 4 different modes at the start. The different modes include classic PvP type matches like solo and team deathmatch, bombing, and seizure, while also offering party and hero modes for those looking to play with and alongside their friends. One mode seems to be listed but has no details, called the Xanthid Hunt. Hopefully we can learn more about that mode in the future. 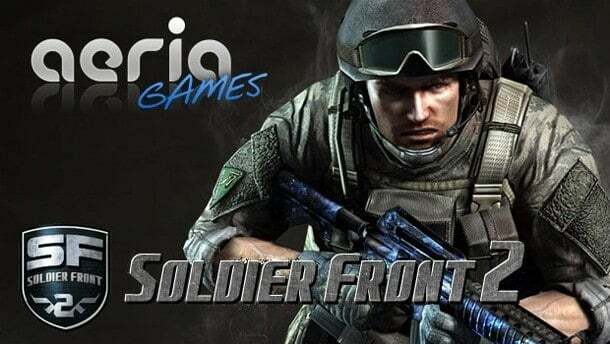 As with all Aeria Games titles, Soldier Front 2 will be free to play, and players can sign up to be recruited into the closed beta over at their website.